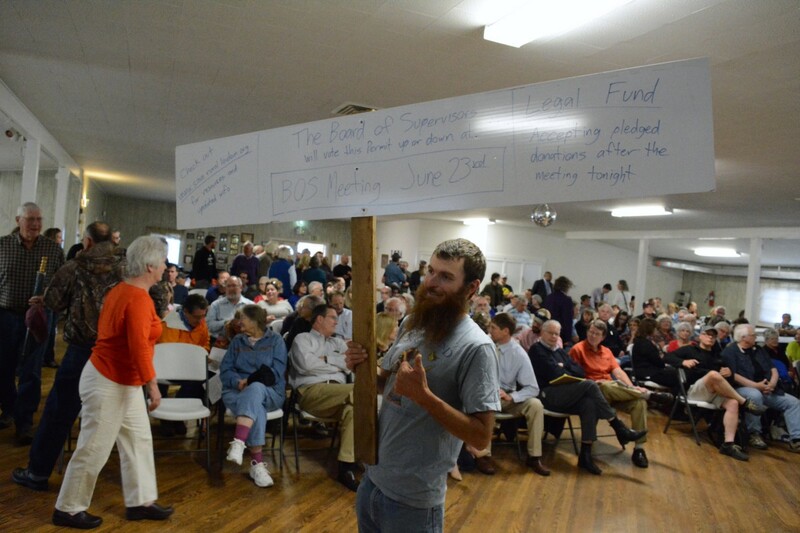 Sam Kroiz, one of the organizers of community opposition to AT&T’s plans to greatly expand its Short Hill Mountain complex west of Lovettsville, was recognized for his efforts at the annual meeting of the Friends of the Blue Ridge Mountains on Sunday. 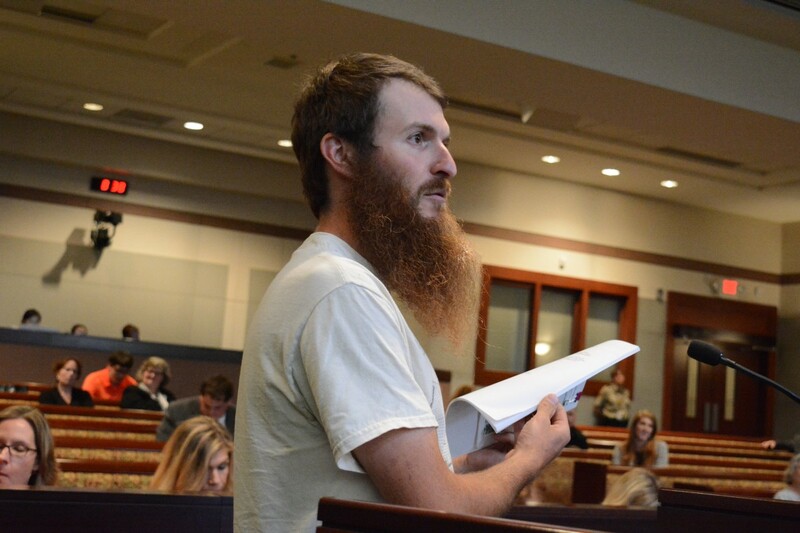 Kroiz, who lives and works with three generations of family on their Georges Mill Farm near Lovettsville, was one of the most visible faces among the many opponents to AT&T’s plans for the mountain. He hosted several meetings at the farm’s towering, rustic barn, where he also holds monthly dances and plays with his band, the Short Hill Mountain Boys. In May, the county Planning Commission approved AT&T’s plans to build a 35-foot-high, 160,000-square-foot building on top of its underground facility on the Short Hill Mountain ridge. That drew immense and organized outcry from Loudouners around the mountain in western Loudoun and put county supervisors on the clock—through the commission permit process, the Board of Supervisors had only 60 days to decide whether to overturn the permit, or it was automatically in force. AT&T representatives said the expanded building would house telecommunications switching operations, and even as it withdrew its application, claimed it would improve high speed Internet and wireless broadband access in the county. The county’s Communications Commission found no evidence of that, and some people who have worked in communications and with data centers said the corporation’s plans closely resembled a data center, which would not be permitted in the rural area on county zoning rules. On June 14, AT&T withdrew its application, and on June 23 the Board of Supervisors voted it down. Although the large aboveground facility was rejected, work continues on top of Short Hill. Just what that work entails in unclear as records pertaining to the project have been held as confidential by the county staff. Kroiz and others are still keeping a watchful eye on the mountain. With the threat of a large building on top of Short Hill off the table for now, the county and AT&T are co-operating to keep permit information secret, and permits for current work not requiring a Board of Supervisors vote, the fierce resistance to the project has settled into cautious watchfulness. 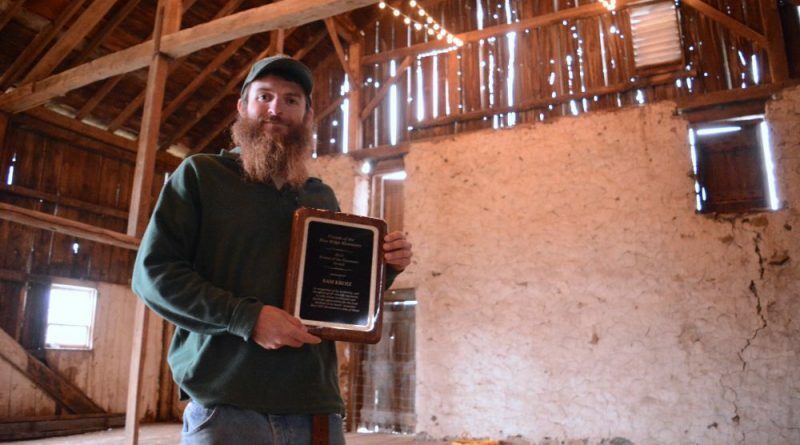 The Friends of the Blue Ridge Mountains presented the award at their annual gathering, at the Barns of Rose Hill in Berryville. Great news. Sup Higgins is Mr. Pork. He affirmatively knows certain truths but ignores them in order to acquire votes and do the dirty work for his developer/lawyer buddies, while pretending to be a preservationist. He also has no problem accepting campaign checks, waiting until the election is over, and ascribing the donation to a different party. No more.